If you’re curious about how we made What Remains of Edith Finch, you’re in luck! Edith Finch was released one year ago, today! To celebrate our anniversary we’re sharing some never-before-seen early concepts for the game in the form of a trailer, a doc, and a mood board. All of these are from early 2013, a few months into what became 4 and a half years of development. First up is what we called our “greenlight trailer.” This was an internal trailer we made at the request of our publisher to help us identify and communicate what we thought the finished game might feel like. None of the prototypes shown here made it into the final game, but tonally it’s not far off. Fun fact: the sunken house that appears in the trailer was an idea we discussed at the start of development and then forgot about completely for 3 years until it found its way back into the game in a completely different form. Around the same time we made the trailer we also wrote a Concept Document that tried to summarize what, at the time, were the best ideas we had. Again, almost none of the specific ideas survived but the tone is pretty close. Now that we’re in the very early stages of our next game, it’s comforting to look back at the last game and see how wrong we were about so many things, but also how eventually the bits of good ideas coalesced in unexpected ways that ended up looking eerily like what we set out to make in the first place. And speaking of that next game, we’re looking for an Animation Programmer and a Lead Animator so if that sounds like you, and if the idea of spending a few years making prototypes to explore a vast range of promising but ultimately misguided ideas seems appealing, let us know. Apparently, we’ve got a lot to say about Edith Finch because at this year’s Game Developers Conference the team is giving 4 different talks exploring how and why we made What Remains of Edith Finch. Chelsea Hash, our tech artist, will discuss how the game’s art direction evolved organically without the traditional top-down input of a dedicated art director. Chris Bell, our lead designer, will offer insight into how the game’s narrative evolved. Evan Rogers, our gameplay programmer, will dive into how we designed and polished our gameplay controls to make them easy enough for players of very different skill levels to pickup without any explicit tutorials. Ian Dallas, our creative director, will discuss how the game evolved from its initial incarnation as a SCUBA diving simulator, how we approached building prototypes, and why we kept changing things right up until the very end of development. If you’ve got an Xbox One, great news! What Remains of Edith Finch in now available for Xbox One. You can buy it online over at the Microsoft store. To celebrate the launch we did an AMA today on reddit where we answered a bunch of great questions from fans. It’s been a lot of fun to watch a second wave of reviews come in as part of the Xbox One launch. A few of these have been from people who went in very skeptical of the game because of all the hype they’d been hearing about it, which gives them a pretty interesting perspective. 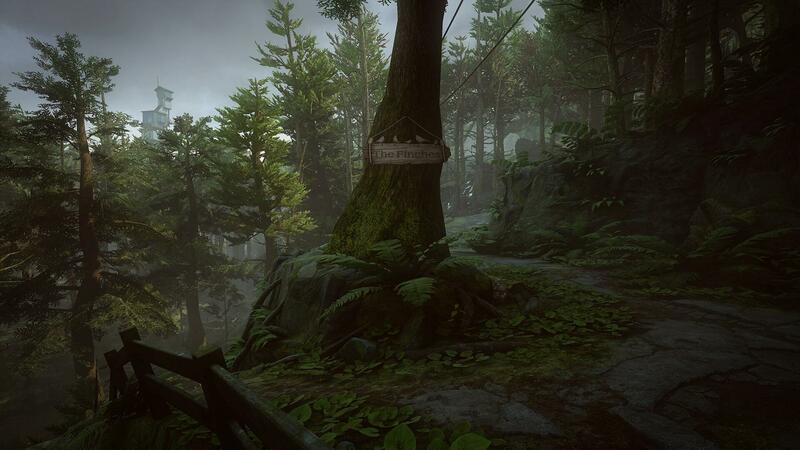 …I was rather dubious of the deluge of love poured over What Remains of Edith Finch. No matter how much praise it received, it was always in the back of my mind that I’d possibly find it a bit dull; that the love for the title was full of hyperbole. I’m ready to eat humble pie and accept that I was well and truly wrong. 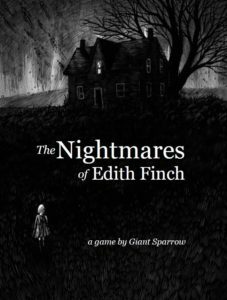 Matthew Owen has already published his review for What Remains of Edith Finch [on this site and] he was so enamored that he actually gifted me a key to ensure I would play it and be able to chat about it… On paper, it seemed like what I was expecting, but in execution, it had a very distinct personality and experience. Edith Finch hit me harder than perhaps any other single piece of media ever has… I couldn’t bring myself to write about the game until over a week had passed since I’d last played it. I haven’t been able to stop thinking about it since then. …let me just say that I have probably never played a more imaginative game in my entire life… And the amount of work put into every minute of the game must have been insane. I mean, literally. No other game of this kind even comes close. If I ran the team the size of Giant Sparrow, I’d never greenlight this project. Edith Finch is what happens when someone remembers that interactivity is delightful on its own terms, and sets out to do something more interesting with it… we usually just make games about murdering things – even though it’s not really the murders that make it enjoyable. Certain actions – putting a reticule on a target, dodging an incoming attack, and chaining together a series of effective attacks – are just inherently fun. Edith Finch is an example of stories… that can only be told by the video gaming medium. 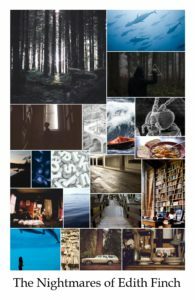 Its collection of individually resonant narratives, bound by where we come in (and unexpectedly out), is inspired, delighting and surprising and unsettling with each new chapter. Many games have attempted to tug at its audience’s heartstrings, but few are possessed of enough subtlety and elegance to succeed. For such developers who think “emotional” is an apt descriptor without qualification, the heights achieved by Giant Sparrow might as well be as the Sun to Icarus. Edith Finch puts such an importance on remembering that you cannot handle everything on your own, and I needed something like this. There is a major stigma looming over mental illness in today’s society that keeps those of us with issues from seeking help… Edith Finch shows the aftermath of that kind of thinking. For the better part of a decade… I was scared of the schizophrenia and bipolar disorder that plagued my father throughout my entire childhood. I watched him throw away help over and over, and I feared I’d get caught in the same stubborn loop, causing the same kind of delusional harm to those around me. Hell, I’m still scared. Yet I find my experience with What Remains of Edith Finch difficult to reconcile… it wavers between profundity and formula… It teems with people you can reach out to but never quite touch… Somehow, though, it still worked for me, because I remember my own family home. I remember my half siblings, who came and went before I reached adulthood, and who still live within half an hour of that house. I remember my parents fighting, separating, divorcing. 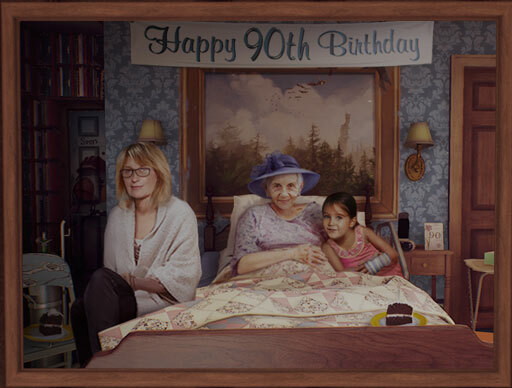 I remember my mom getting sick and getting better… Walking through Edith’s old house, listening to her as she recalls and imagines the stories of those who came before her, I thought about my own family history and its effect on me. The [trailers] do a great job of framing this memento mori idea, but they chose not to show the player engaging these memoir moments. I mean, I get it. It’s a hard choice: do we show the player’s first-person gameplay (with all the drunk-wonkiness of movement — and time-constraints of gameplay animations), or do we wrest camera control and show the game’s beautiful setting instead? By choosing setting, they got beautiful footage, but sacrificed the player’s voice (player-cam). I respect this decision. But I’d like to consider the player-cam option. Would this work? What Remains of Edith Finch both adopts and improves upon the model set by Gone Home… The result is aesthetically coherent… The writing is good, an uncommon accomplishment in a video game. 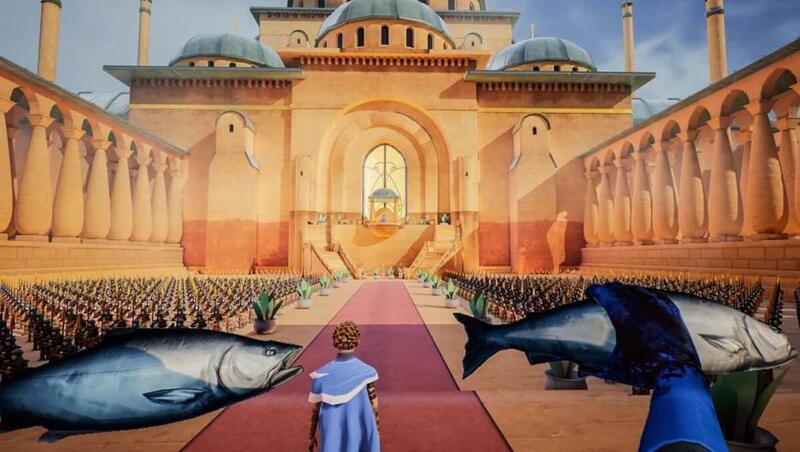 On the whole, there is nothing to fault in What Remains of Edith Finch. It’s a lovely little title with ambitions scaled to match their execution. Few will leave it unsatisfied. And yet, the game is pregnant with an unanswered question: Why does this story need to be told as a video game? It feels like there should be a video game-y way to “figure it out” but at every turn the game pretty much denies that to you… [there’s a] natural tendency to want to assemble the clues and solve the mystery. Which, if this story has a point, that point is, “stop trying to mythologize everything and figure it all out!” Which… well, I do start to ask, is this deliberate and clever, or just unfinished? They get away with it, ultimately. But I’m still not 100% convinced that the ending wasn’t just the result of development challenges or something. What Remains of Edith Finch is now available! A couple of things you might be interested in today. 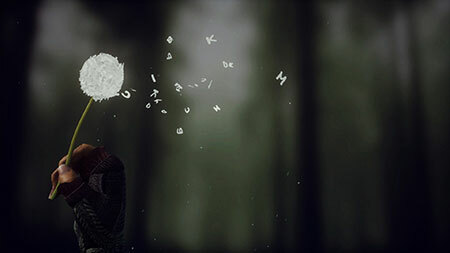 First, we’ve released a new trailer, which you can see above. Second, we wrote a post on the official PlayStation blog about what the experience of making this game has been like: I Cannot Describe to You How Incredibly Strange What Remains of Edith Finch Is. And lastly, What Remains of Edith Finch is now available on PlayStation 4 and on Windows via Steam! Thanks to everyone who helped make this possible! April 25, 2017	| Comments Off on What Remains of Edith Finch is now available! It’s been awhile since we updated this blog. Apologies about that! Our next game, What Remains of Edith Finch, is coming out really soon. On Tuesday, April 25th. The game will also be available on Windows! As well as on PlayStation 4. You can preorder it for Windows through our Steam page, or you can preorder it for PlayStation 4 on the PlayStation Store. Or you could preorder it for both platforms. You have many options! We showed off our new game, What Remains of Edith Finch at this year’s PlayStation Experience, a weekend-long expo for everything PlayStation. We had 4 kiosks running a playable demo of the game’s first 40-or-so minutes, including Edith’s approach to the house and the first story you find inside — that of Molly Finch, a young girl in the 1940s who gets so hungry that she finds herself transforming into a series of animals. Demoing such varied experiences side-by-side at PSX was extremely entertaining for the team. As fans and critics passed by they would stop, tilt their heads, and ask, “These are all the same game?” Unsure what to make of our game, they would hop in line to play. Which is great because that sense of uncertainty, wondering what on Earth might be around the corner, is a big part of what we’re trying to do with the game. In honor of What Remains of Edith Finch being the best game I played at #PSX2015 I set that up as my PS4 theme. It's pretty awesome as well. That's off the top of my head the things that really stood out, I saw some great stuff there. But seriously, #EdithFinch is insane.